Savaresse's machine with oscillating cylinder. 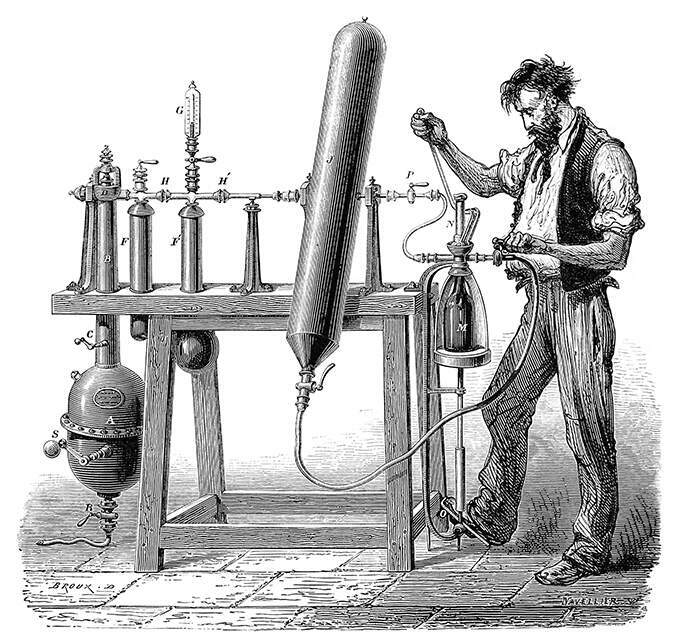 A man operates a machine for making carbonated water and is about to fill a bottle. The large cylinder J is filled with water, the tank A with sulfuric acid, and the tube B with calcium carbonate. The caption reads in the original French: Appareil de Savaresse à cylindre oscillant.